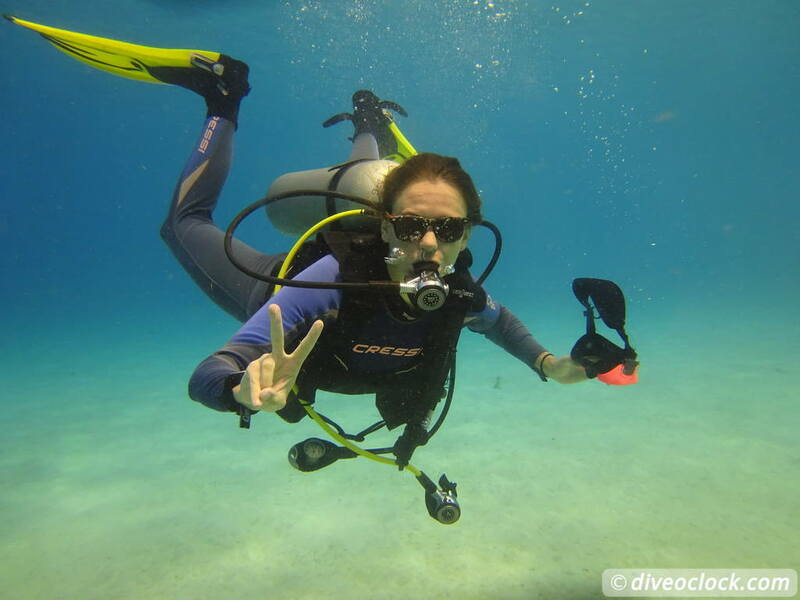 SCUBA Dive for FREE & Help the Turtles on Bonaire - Dive o'clock! 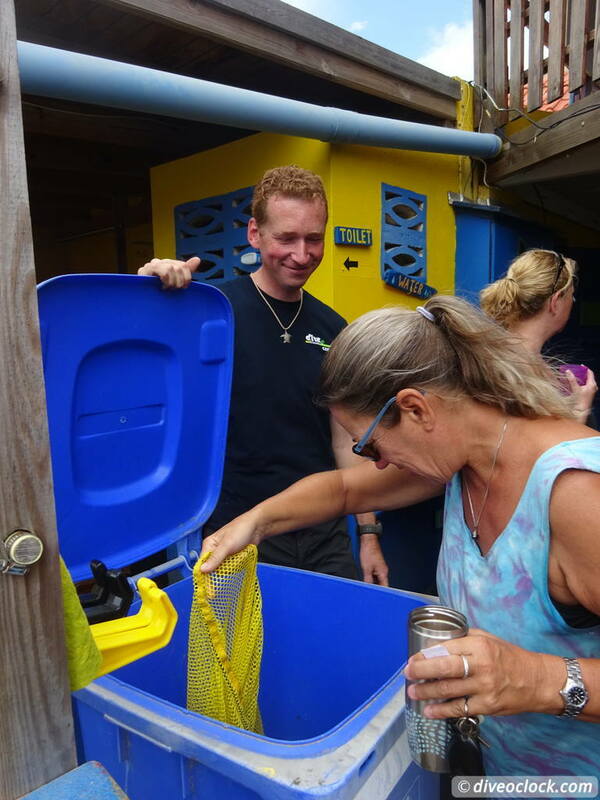 Collecting plastic from the coral reef on Bonaire! 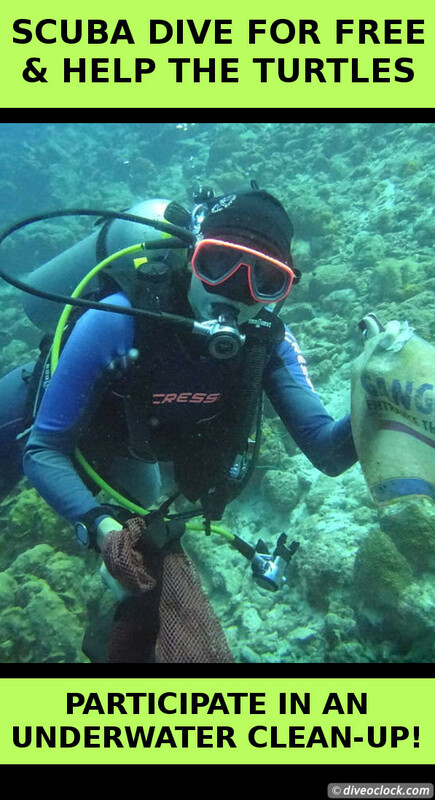 Four times a year dive center Dive Friends Bonaire organizes an underwater clean-up and you can join them! It is FREE, it is FUN, you are helping the local ecosystem and you can even win sponsored prizes afterwards in a RAFFLE. Everybody loves a clean ocean I guess. Who wants to dive in a dump yard of trash anyway? The truth is there is a lot of debris in the ocean. 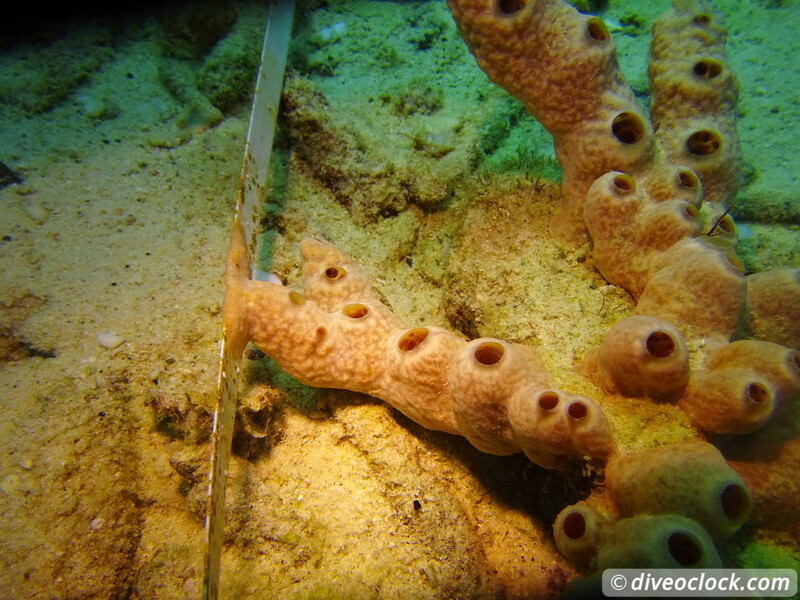 A lot of it is laying at a shallow depth, also in the coral reef itself. Many pieces of plastic are mistaken for food by marine life and end up in their stomach. Especially turtles often mistake plastic bags for jellyfish, which some species eat, or they get entangled in fishing line or plastic waste. After visiting the Turtle Hospital in Florida last year I wanted to do more. All those deformed bodies left a great impression while there is so much well all can do to prevent it. You can take action to help saving the reef and it does not need to cost you a lot! There are countless things you can do and all little things help! It all comes down to less polluting, sustainable tourism/diving and sustainable fishing. The reefs need your help! Start acting now! Read more here: How to Help Saving the Reef - 10 Easy Ways! 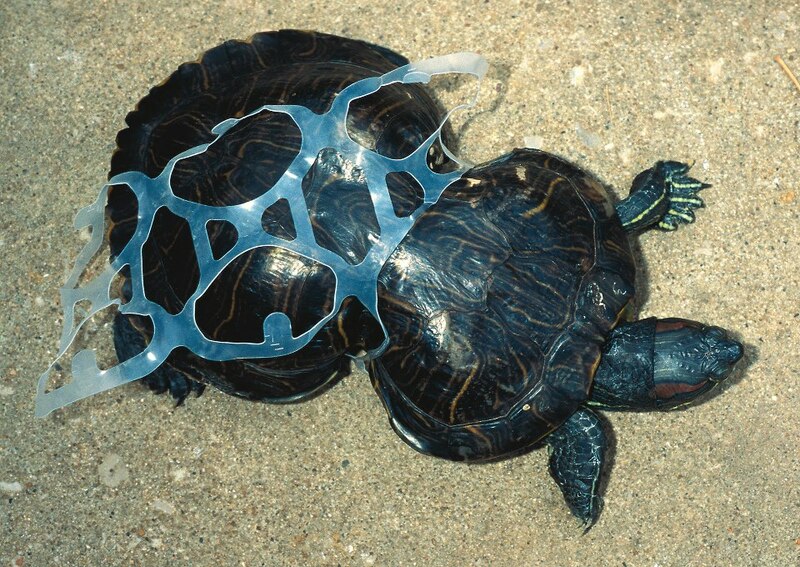 Example of a deformed turtle due to being trapped in plastic! As soon as I heard about the Dive Friends clean-up here on Bonaire I got very enthusiastic. Time for some action! 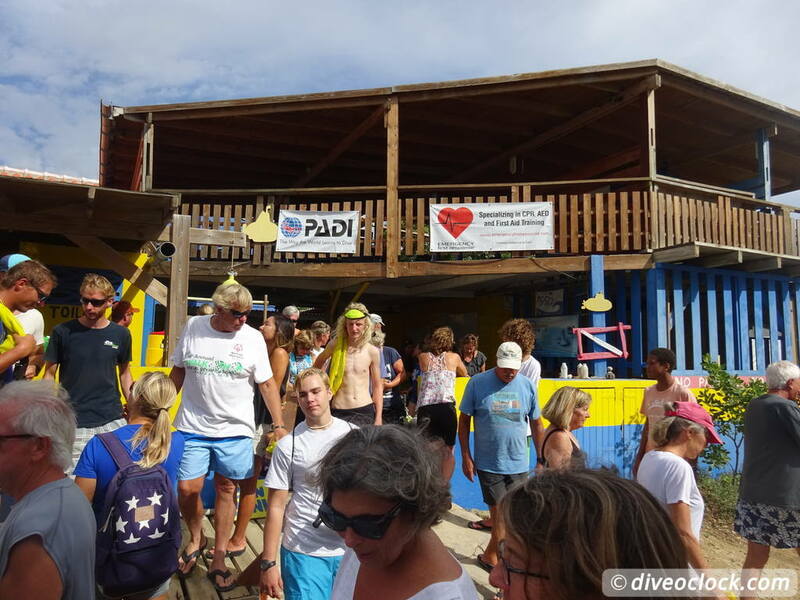 Dive Friends Bonaire organizes a clean-up four times a year and you should join if you are on the island. It is FREE, it is FUN, you are helping the local ecosystem and you can even win sponsored prizes afterwards in a RAFFLE. Especially around the West coast of Bonaire, the harbour bay where Kralendijk is located and cruise ships moor, there is a lot of debris laying on the ocean floor. You can even see empty bottles laying in the water when you walk along the waterfront. 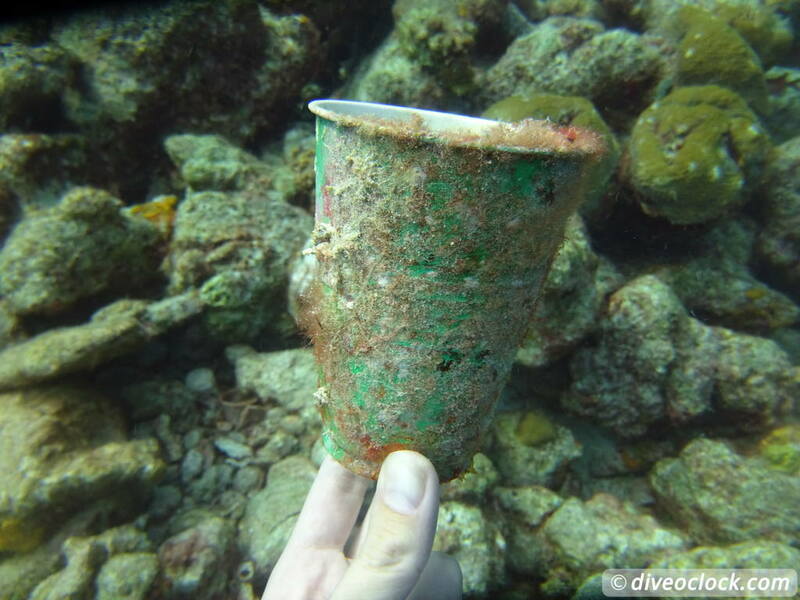 Even-though the waters around the island are protected by the Bonaire National Marine Park - there is a lot of trash. Luckily many people that live on the island or visit for a holiday care and want to do something about it. Grab a mesh bag and start collecting trash! 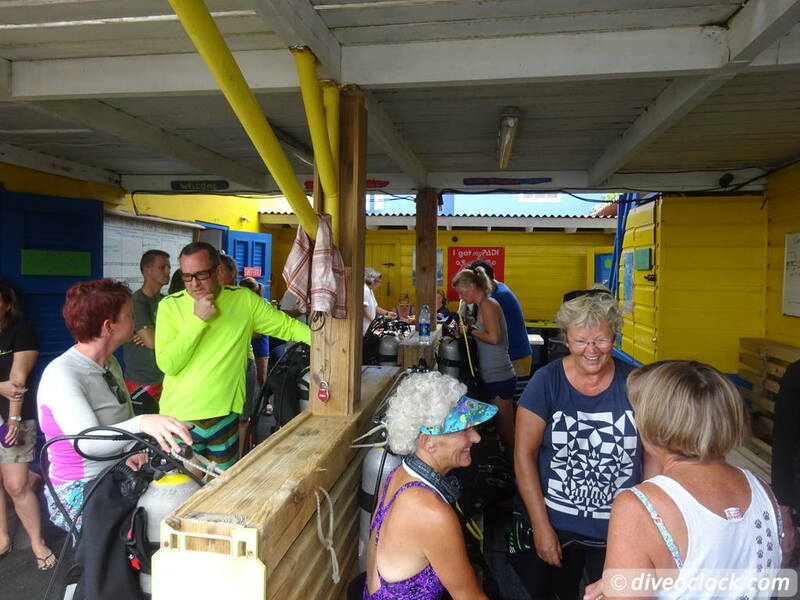 Saturday morning at 10 AM Carolyn, the General Manager of Dive Friends Bonaire, started with a good briefing about the clean-up. Over 100 people showed up, an impressive number of enthusiastic volunteers! Everything was well explained, from the logistics to how to collect debris underwater without damaging the reef. 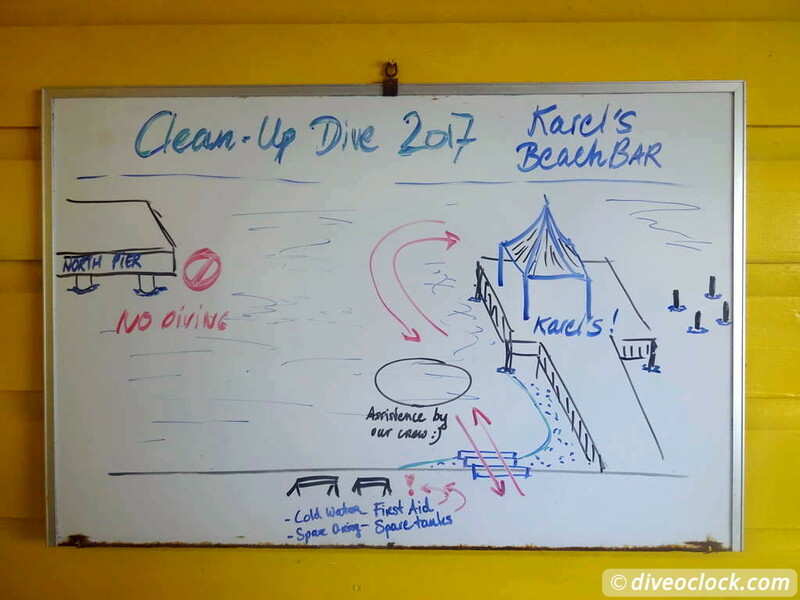 Every buddy team could grab a mesh bag and air tanks before moving to the dive spot: Karel's Pier, right in the middle of town. Karel's Beach Bar is located on this pier and many boats moor around this spot. Normally you are not allowed to dive here but we got the exception for the clean-up! 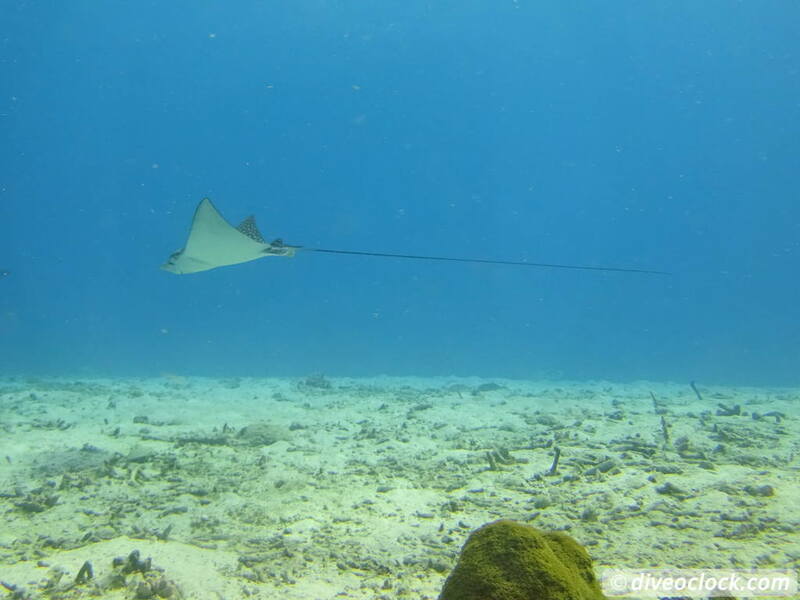 Within the first 5 minutes an Eagle ray passed-by, later we saw another one! After this happy distraction it was time to get to work. Many plastic drinking cups and empty beer bottles where laying around the pier, easy to spot and collect. Once we reached the actual coral reef it became a bit harder to spot the trash as algae covers the artificial colors of the candy wraps, cans and pieces of fabric. This Sponge had grown on to the metal trash, leave it! 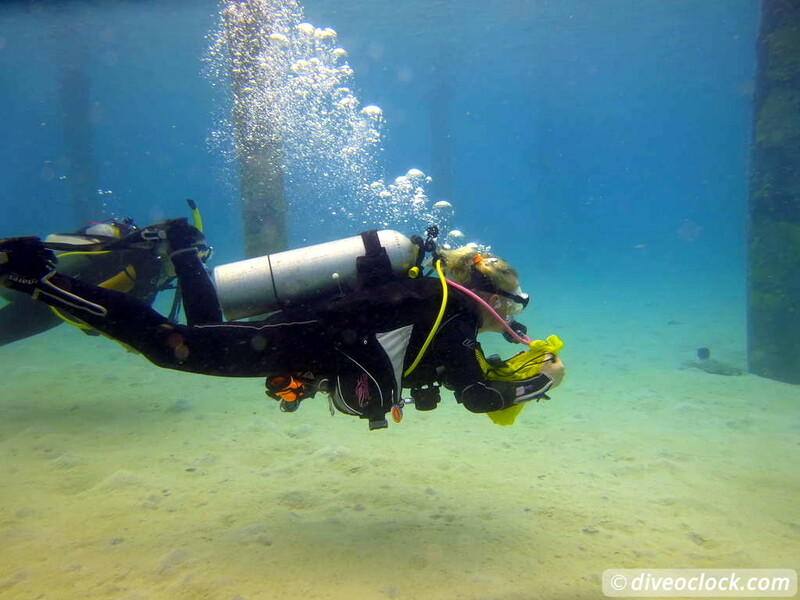 Picking up pieces of plastic and glass bottles is not the hardest part - it is balancing the bag that becomes heavier by the minute and making sure it does not smash the corals when you reach for the next piece. Some pieces of trash have been laying on the ocean floor for so long it has become part of the ecosystem, corals and sponges have grown on it. Those you should leave and everything that is 'new' and loose you can take. Always make sure there are no little fish, crabs or other tiny creatures hiding inside the cans or bottles. Empty them before putting it in your bag. Be careful when reaching out for trash, there might be an animal nearby that thinks you are an intruder. At one point a moray eel surprised me by suddenly sticking his head out of a hole next to a plastic cup. Found these fancy sunglasses under the pier of Karel's Beach Bar! There were many SCUBA divers, free divers and snorkelers helping out. On the shore there were people helping with lifting the heavy bags full of trash out of the water and assisting with anything else they could do. It feels really good to collect things that do not belong there and seeing everybody around you do the same - what a great act for the environment. After the dive all the trash was collected, over 1000 KG! For the citizen-science program Dive Against Debris of Project AWARE (partner of PADI) all pieces were counted to log in their database for further action. In the evening we were all invited for a BBQ at the waterfront of the Hamlet Oasis dive shop of Dive Friends Bonaire (dive site The Cliff). It was a potluck BBQ (which I had to Google) meaning everybody brings a dish. In The Netherlands we call this an American party, how funny! Before the BBQ really started all sponsors were thanked and the raffle was hold! Some amazing prices were raffled among the volunteers, what a great idea! Together with the other volunteers we enjoyed the sunset, great food, cold beers and Caribbean music. All was well organized and smiling people everywhere. 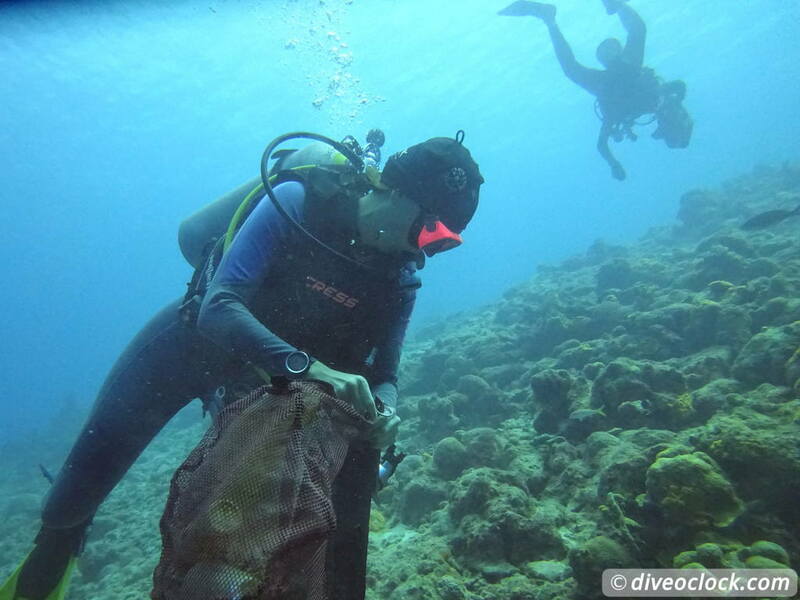 You can find more information about the Dive Friends Bonaire Quarterly Clean Up Dives here. 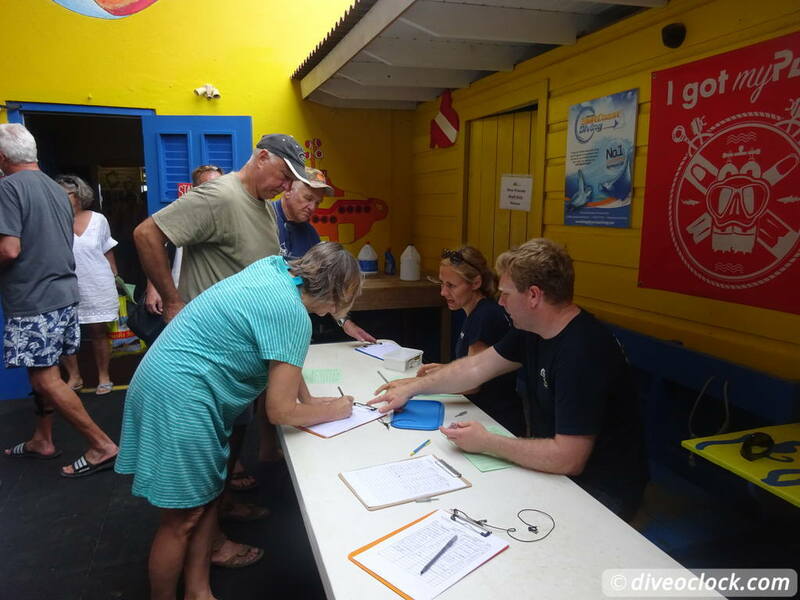 Even if you can not make it for the quarterly clean-up of Dive Friends Bonaire you can still help out. 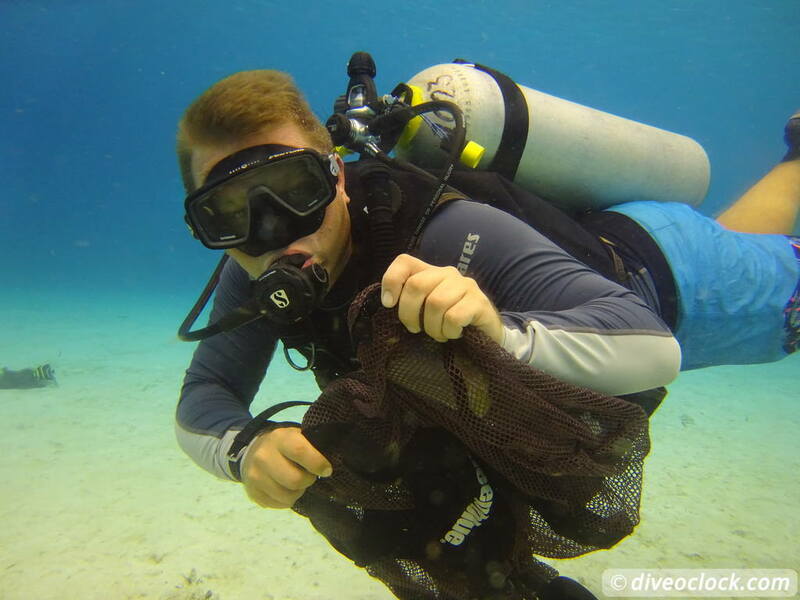 Just visit one of their dive center and you get a mesh bag to collect debris on your own pace and dive spot. 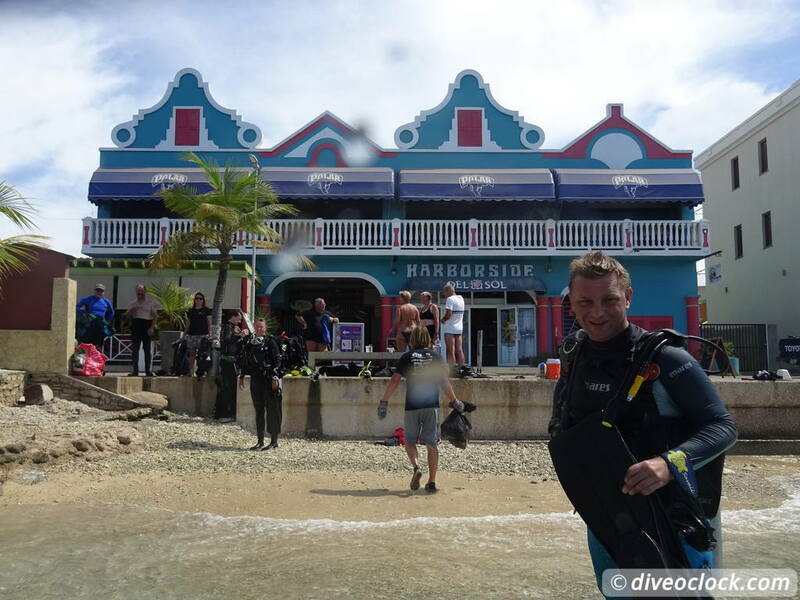 You can even get an official PADI Dive Against Debris Specialty diver certification if you like with Dive Friends Bonaire. Special thanks to Dive Friends Bonaire and all the sponsors for making this possible! 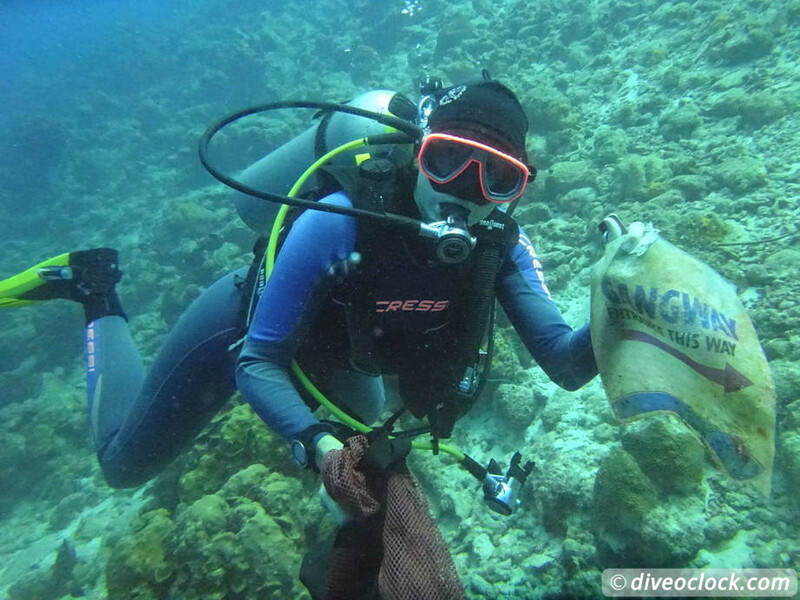 Protect the reef: Collect some trash from every dive!